Pelican cases are kept watertight through the use of a tongue and groove fit and a polymer o-ring. 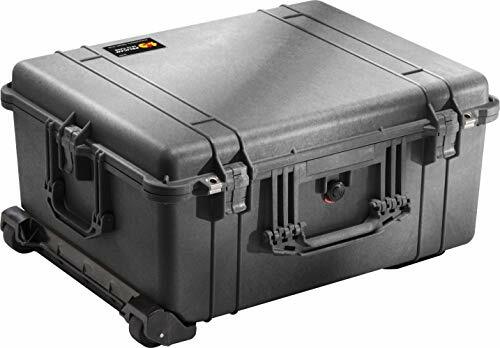 Pelican cases come standard with an Automatic Pressure Equalization Valve which releases built up air pressure while keeping water out. Foam : 1.3 pound polyurethane. Foam layers: layer 1 (lid): 2.00 inch - convolute / layer 2 (base): 1.50 inch - pad / layer 3 (base): 2.38 inch - pick N pluck / layer 4 (base): 2.38 inch - pick N pluck / layer 5 (base): 2.38 inch - pick N pluck. Pelican's Pick N'Pluck foam lets you customize the interior.